In this paper, the authors broadly investigate Hispanic consumer attitudes and their sociological behaviors toward online advertising. The study documents the correlation between Hispanic attitudes, behaviors, and three types of online advertising that have an effect on cultural distinctions. Additionally, the study compares the group’s attitudes toward TV advertising vis-à-vis the three types of online advertising to compare the two medium’s similarities and differences. 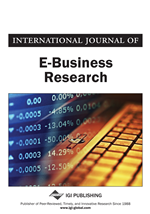 Notably, Hispanics favor e-mail advertising and banner advertising over popup advertising, while Hispanics continue to enjoy advertising on television more than any of the three types of Web advertising that this paper will discuss. In the last decade both the academic and business community has shown a growing interest in studying Hispanic consumers. This interest is the result of the substantial growth of the U.S. Hispanic population and their corresponding wealth. Marketers in particular are paying special attention to this distinct ethnic segment because the Hispanic market comprises over 46 million people and accounts for about 15 percent of the U.S. population (Sun & Johnson, 2009). Almost one in every seven Americans is of Hispanic origin. Moreover, as a population, it is growing about six times faster than the general population. The 2008 U.S. Census estimates the population of Hispanics to more than double by the year 2050 (U.S. Census Bureau, 2008). The size and dynamics of Hispanic minorities have redefined several aspects of the U.S. economy. According to the Interactive Advertising Bureau (2006), U.S. Hispanic Buying Power is increasing at a much faster rate than non-Hispanics Buying Power. The buying power of Hispanics is reported to be around $1 trillion in the marketplace (Sun & Johnson, 2009). Thus, the importance of the Hispanic market to advertisers is obvious. Although a few studies in the past have investigated the media habits of this ethnic group, (e.g., Guernica, 1982), little is known about the beliefs, attitudes and behaviors of Hispanic consumers towards the three types of dominant Web advertising, namely, e-mail, pop-ups, and banner advertising. Also, for Hispanic consumers, it is unknown how these three types of Web advertisements stack up against traditional television advertisements. The current study attempts to fill these gaps in the published literature. Web advertising targeted to Hispanics is highly visible and monetarily significant. Web advertising targeting Hispanics accounts for more than 75 million dollars (Cox, 2004) up from $10 million spent in 2002. Most market research on Hispanics attitudes and beliefs towards marketing and/or advertising are general in nature and do not focus on specific advertising techniques. Research has shown many Hispanics use the Internet to learn more about brands and prices. A 2006 study by AOL reports that 55% of all Hispanics use the Internet; of the online Hispanics, 81% are mostly or partially acculturated, 77% use the Internet to learn about product brands, and 72% use the Internet to compare prices (www.imnewswatch.com). Similar results were reported in a study quoted by Burns (2005). That study indicated Hispanic Internet usage equals or exceeds the non-Hispanic population in a variety of Internet activities. A recent study released by Yahoo! Telemundo and Experian Simmons Research (2007) suggested that online Hispanics are highly experienced and multifaceted on the Internet (Contacto Magazine, 2007). Summing up, Hispanics as a segment of the U.S. population and as a user group of the Internet offers a lucrative and growth market in the U.S. (Tellis & Ortiz 2008; U.S. Census Bureau, 2008). Therefore, the study results are expected to be of interest to academics and practitioners alike. The next section reviews the pertinent literature and establishes the study hypotheses.